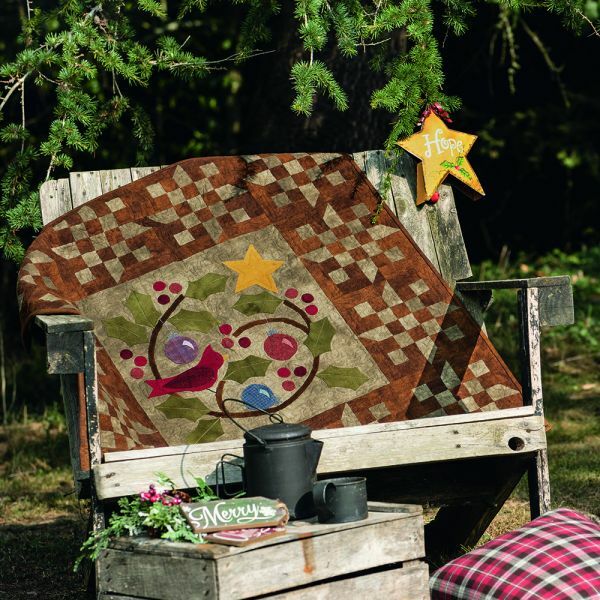 Stars upon Stars designed, made and quilted by Edyta Sitar for Laundry Basket Quilts. 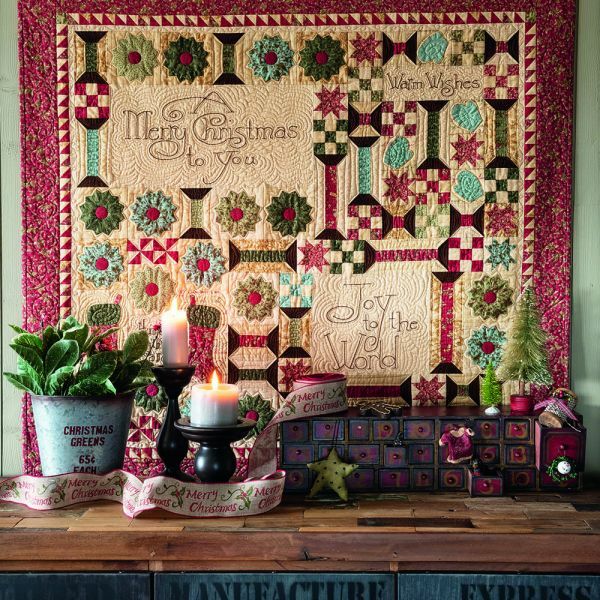 Winter in the Holly designed by Bonnie Sullivan, made by Bonnie Sullivan and Marjorie McCanse and quilted by Pam Parvin for All Through the Night. 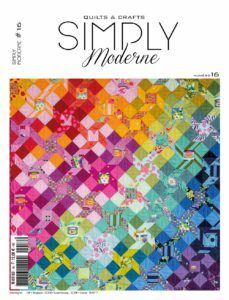 2018 Mystery Quilt, part 6 – Karen Styles Watch Karen Styles’ explanations on block 6 of the Mystery Quilt (soon) or See all the other blocks of the 2018 Mystery Quilt. 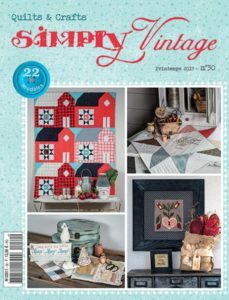 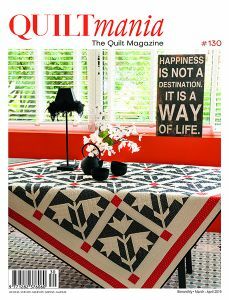 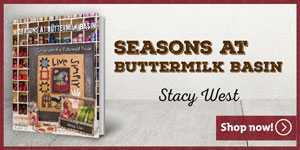 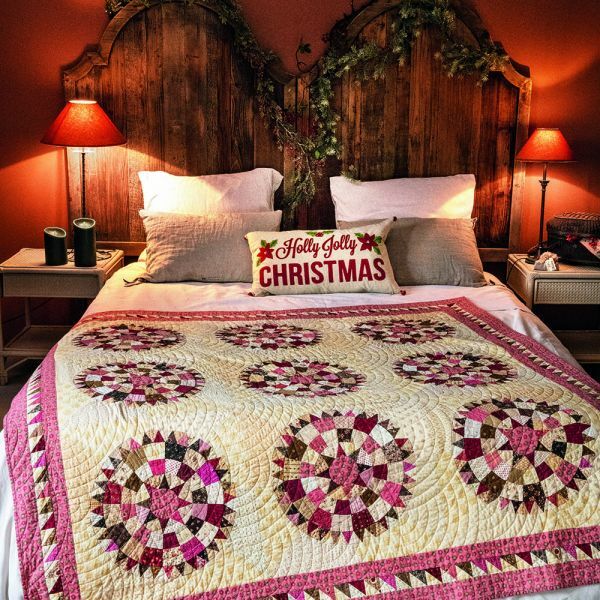 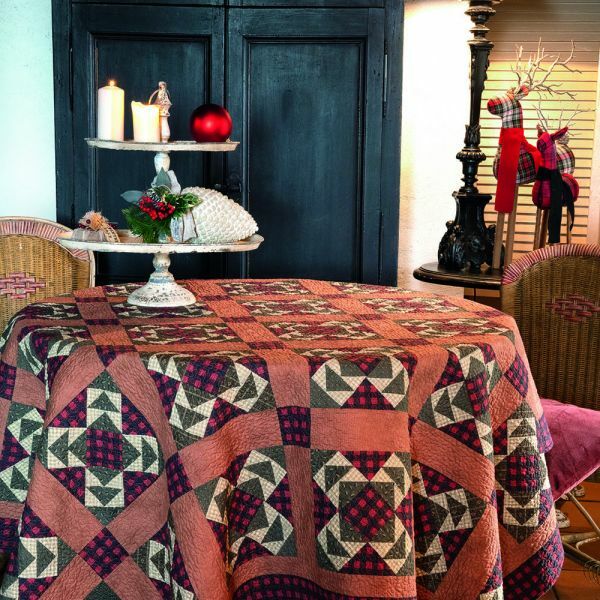 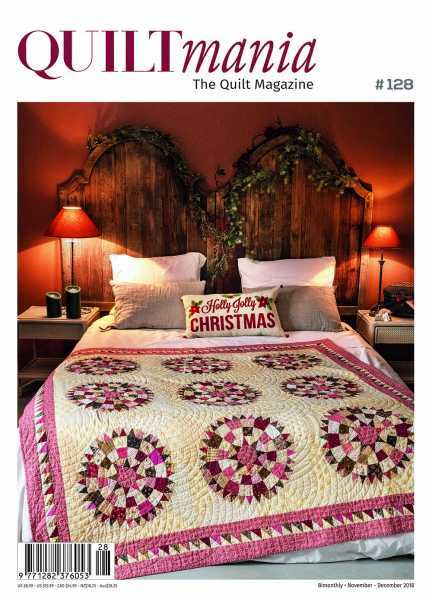 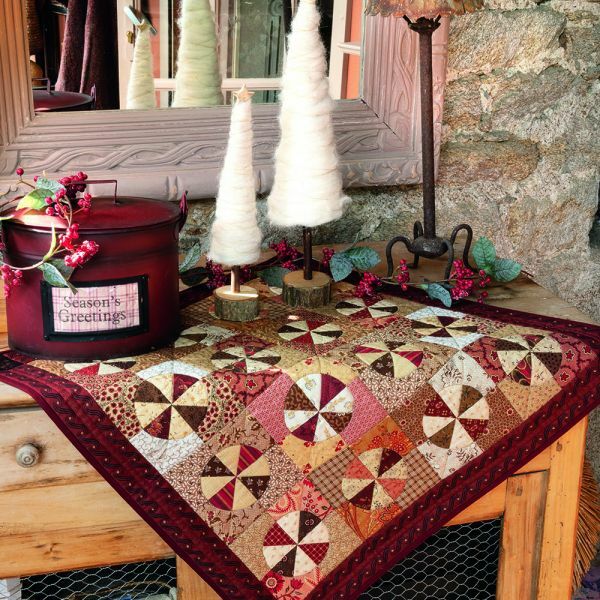 Quiltmania is our founding magazine and pays homage to the art of traditional quilts. 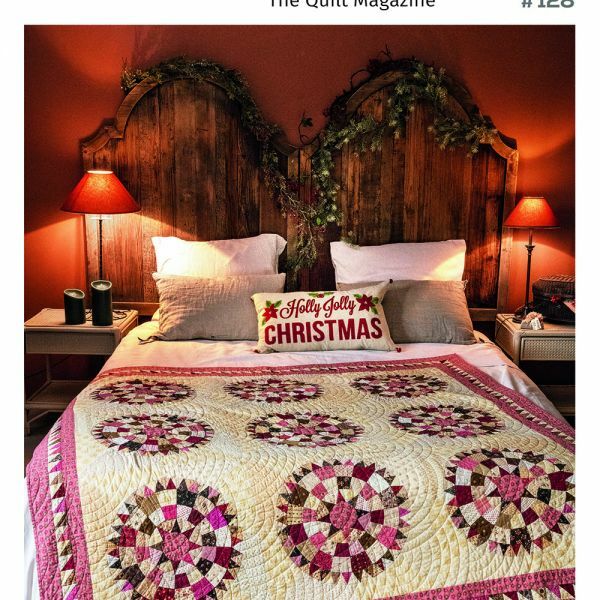 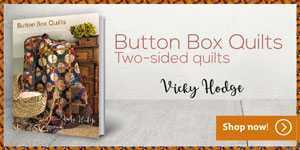 Inside is an eclectic menu of articles that bring the best quilt exhibitions and artists to you, Quilts & Enchanting Homes, a special Mystery Quilt and 6 exceptional projects complete with pattern instructions and templates. 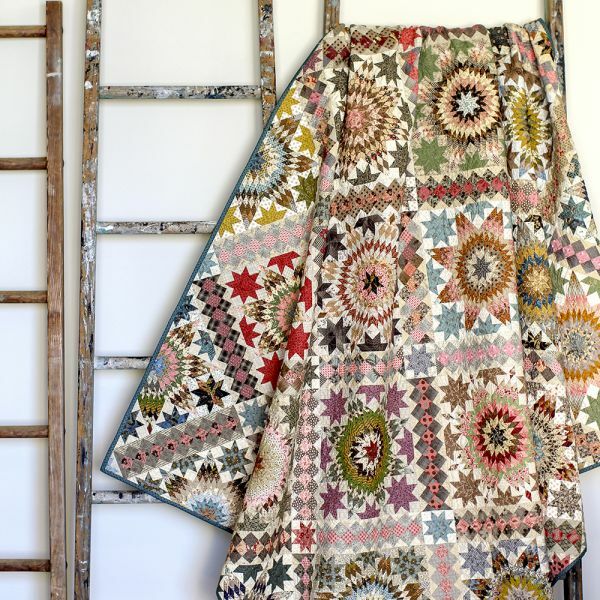 From appliqué to piecing, everything is explained in both cm and inches.